My husband challenged me the other day. He came across a picture of apple pie and asked me why I had never made one. Well, I am not a big pie maker, never have been, but he asked me if I would make one. The last time I made an apple pie, that I can really remember, was probably 20 years ago or longer. 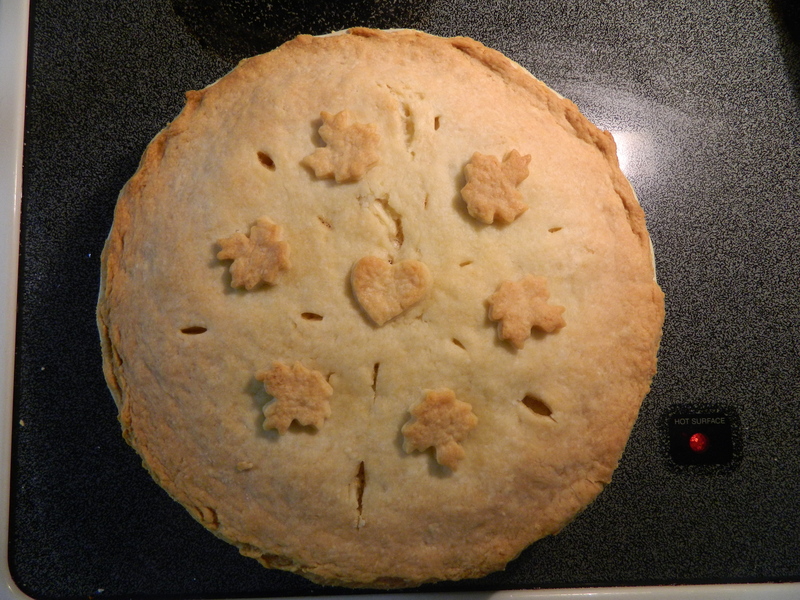 But I rose to the challenge and attempted to make an apple pie, with homemade crust and all! It took me a while, because I wanted to get it just right, but I finally got the pie made, baked and cooled. My husbands comments after the first bite, “That is the best apple pie I ever eat in my life. This needs to go on your site!” I think he is a little partial, but nonetheless, I posted it. I didn’t take but one picture, because I wasn’t sure how it was gonna turn out, but hubby did make me take a picture of the end result. And here it is ..... I even put the pretty leaves on it!